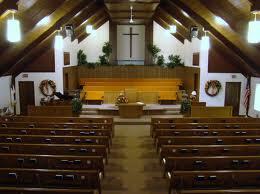 To some individuals, church is a sacred sanctuary. A place where people come to receive a spiritual transformation or an inspirational word of advice to relieve them of the stress and anguish they encounter in their lives. It is a place of emotional, spiritual, physical and mental healing, a venue of communication between God and humanity. But for many, church is dreadful. It is a place where well-kept secrets come to light, confusion is company, and judgment is a constant visitor. Instead of being a beacon of hope, it is being visualized as a utopia for egos, self-righteous saints, and loveless individuals. After much thought and observation, I concur with this perception. Without a shadow of doubt, I have had pleasant and life-changing experiences via the Church. I have felt the warm embrace of people who displayed love and humility. It is indeed the place where I forsook my secular nature and decided to follow in the steps of Christ. It is where I found comfort in the fact that a loving God forgave me of past sin and called me to minister to those who are hurting and felt abandoned in an alone, dark and cold world. It is love, grace and mercy that attracted me and many others to find a niche in the Church, and it is the lack of these components that has and will continue to drive people away. For all of us who are in the church, we have experienced deliverance and freedom from past sin. While the magnitude of our sin may vary, the bottom line is: Sin is sin. No sin is greater than another, and God is not a respecter of persons. With this said, many of us forget who we used to be and where we came from. We forget to extend the same grace to others that was given to us from Almighty God. We crucify others before showing them love. We give them a death sentence before they even stand trial. We offer condemnation instead of forgiveness, judgment instead of love, confusion instead of a peace of mind. Many blame and fault the church for its hypocrisy. No matter how long we have been saved, we will stay fall and falter. The simple fact that we are human (with sin and imperfections) and serve a God (sinless without any imperfections) automatically subjects us to humanity, which, of course, consists of many flaws and failures, regardless of how strong our spiritual status may or may not be. I staunchly believe that the secular society is not turned away by the imperfections of those involved in the church, but the lack of love and grace shown to those whose imperfections and faults are revealed. Sadly, the church has been transformed into a “Gossip Headquarters.” We forget the fact that Jesus himself surrounded himself with people full of flaws and mistakes. He despised the self-righteous people and those who had a “holier-than-thou” mindset. He looked at the inward while most men focused on the outward appearance. Jesus looked at the heart of a man. Jesus loved. We MUST love. Love is not just words. It is action. Love transcends faults, failures and imperfections. Love is more than just hymns and a 30 minute sermon. Love is more than just a fellowship dinner or a church convention. Love sees beyond the hurt and pain. Love is what embraces you once rejection and heartbreak have made residence in your life. The church must embrace love instead of embracing the gavel of a judge. The church must bring people to love instead of bringing them to an emotional jail cell. It is love that changes people, not our church standards. It is love that causes people to believe in something greater than one’s self. Love conquers our enemies, not church ministerial meetings. It is love that will bring people to God, and it is the lack of it that will turn people away. Love is on the verge of becoming extinct in the modern-day churches. The only thing can stop it from becoming extinct is….the willingness to love.